Have you ever seen those yellow “Steep Rock Nature Preserve” property signs dotting the roads of Washington? 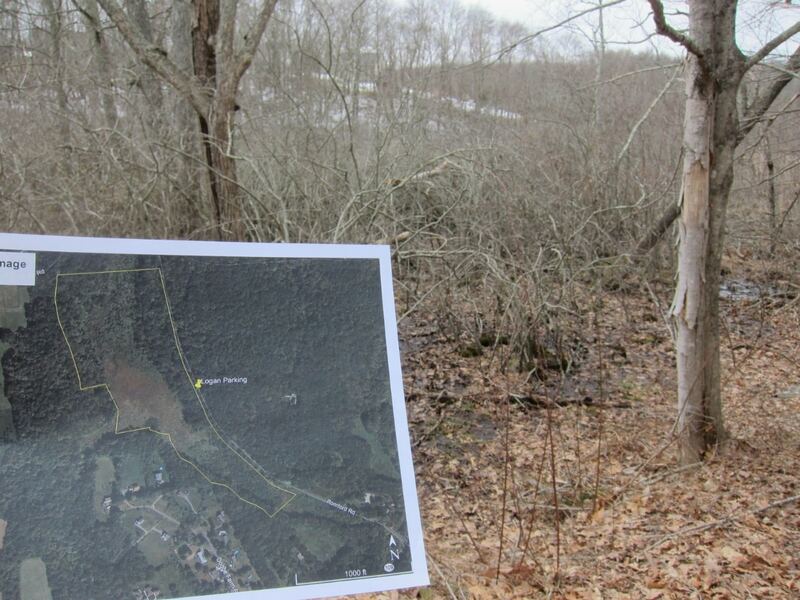 Behind those signs is a collective 2,500 acres of pristine wilderness, scattered over 30 individual preserves. Some of that acreage is old growth hemlock forest while other parts are wetlands brimming with biodiversity and unique flora and fauna. To ensure that these areas remain unspoiled and permanently protected, we annually monitor and evaluate each preserve, observing for signs of ecological disturbance. Help us in this effort. On Saturday April 14, 2018, explore and experience the unique landscapes of our nature preserves while simultaneously giving back to your local land trust. 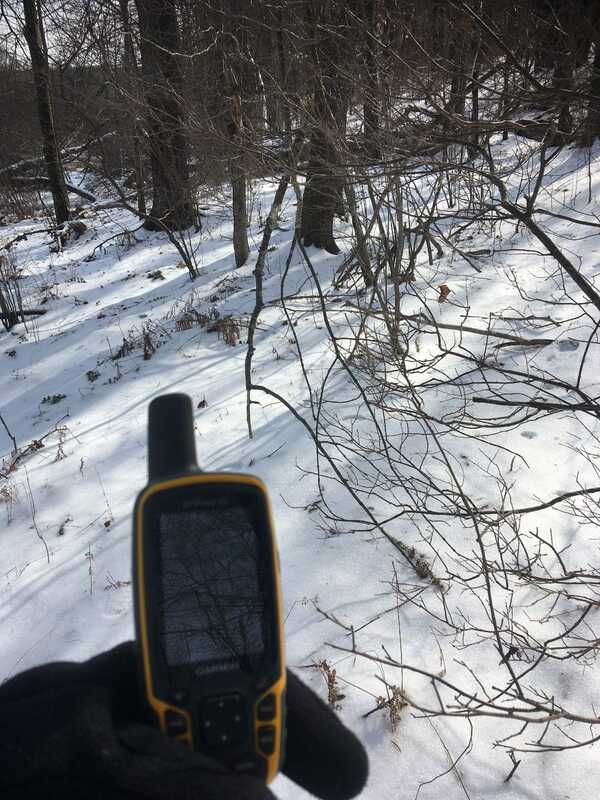 Read the story below as Mike Giapponi, our Trails and Preserve Coordinator, describes a typical monitoring walk. For more information on the Preserve Monitoring event, and to register, visit here. The midwinter day was crisp and cool, and snowfall blanketed much of the land. 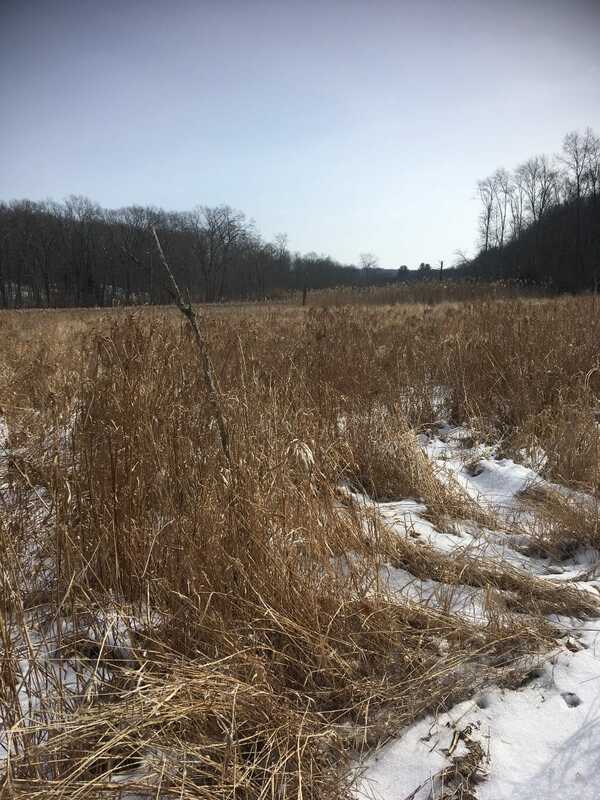 Equipped with a GPS unit, a set of maps, and waterproof boots, I set off to inspect and evaluate the swampy landscape of Steep Rock Association’s Logan Preserve. I first trekked through a beautiful herbaceous wetland, dominated by native grasses, sedges, and moss. These plants offer exceptional habitat for amphibians, birds, insects, and various other species. Unfortunately, wetlands are not great habitat for human feet; not long after taking this photo, I found myself thigh-deep in flowing water as my weight broke through the thin ice. So much for my knee-high waterproof boots! With one soggy sock in tow, I march on and enter a mixed hardwood forest, with established stands of invasive Japanese barberry coating the forest floor. Japanese barberry is a woody shrub that forms dense thickets, shading out native vegetation and lowering biodiversity. With no native predators munching its leaves, barberry stands continuously expand until they dominate the landscape. Because Japanese barberry is an ecological threat, I mark its position with the GPS unit. Now, our staff and volunteers can come back here in the future to remove and manage this unwelcome intruder. 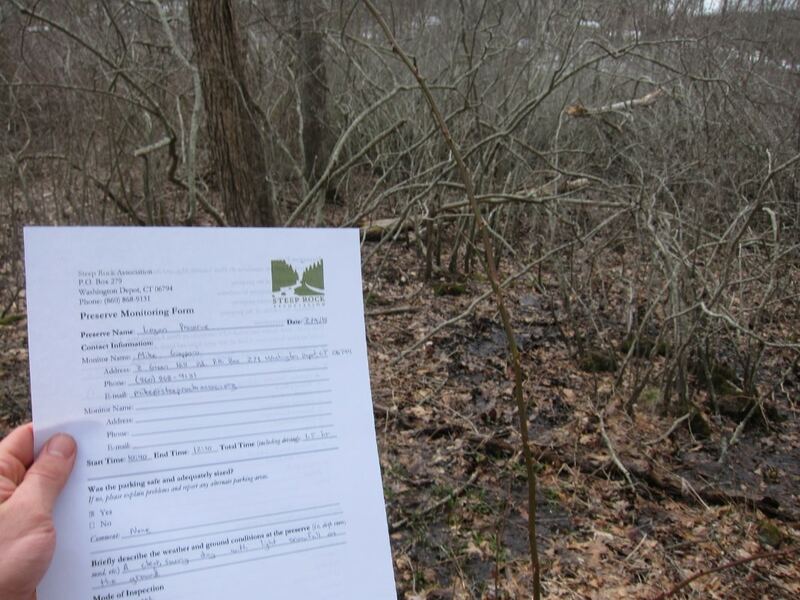 (Read our winter 2018 newsletter article, Salamanders….and Ticks? for information on barberry and wildlife). 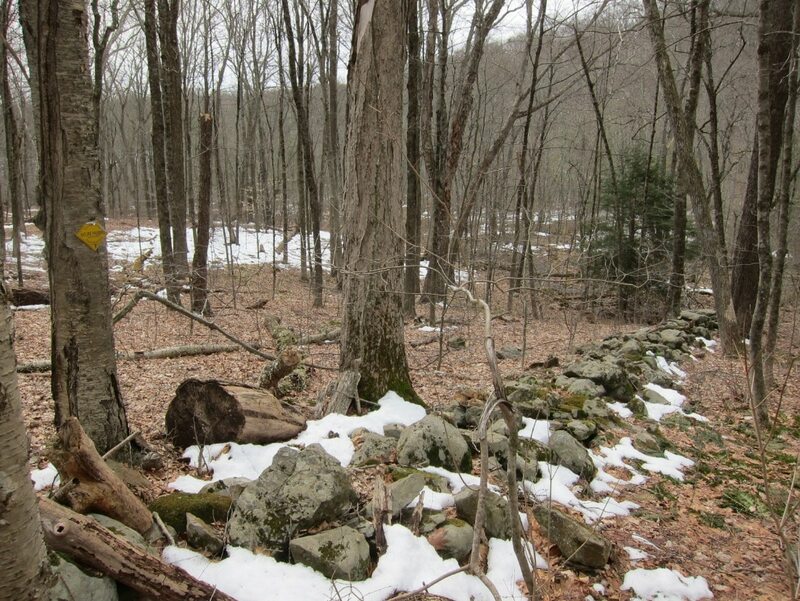 As I continue on, I come across an all too familiar site in New England forests – the quintessential stone wall. It is amazing to think that roughly 200 years ago (likely when this particular wall was built), over 250,000 miles of stone walls crisscrossed the landscape of the Northeast. That is enough wall to enclose the entirety of the U.S. coastline! While most of these walls no longer pen in livestock as was likely their original purpose, they still serve as property boundaries, as is the case with this particular wall. With the stones to guide me, I stow the GPS and reflect on the immense generational effort to construct these enduring structures. One hour from when I started, I am back at the car, certainly not the worse for wear. I record my findings and call it a day.